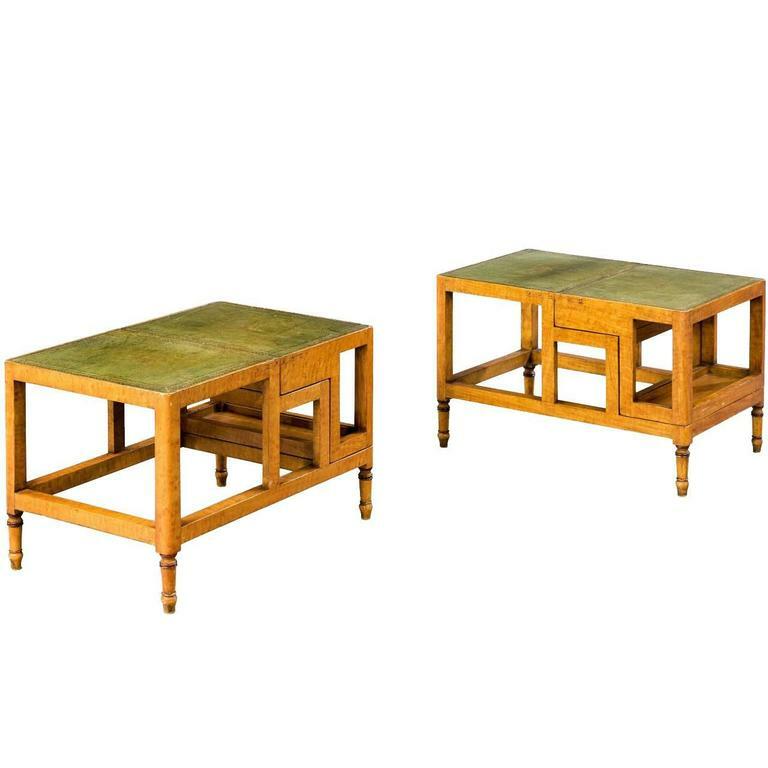 Unusual pair of satin beech library steps or occasional tables with inset tooled green leather surfaces, mid-20th century. RR. 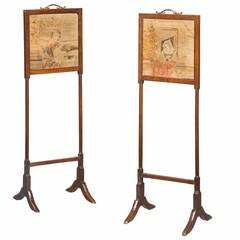 An unusual pair of George III period small screens incorporating period petit point embroidery with original well cast gilt bronze handles. 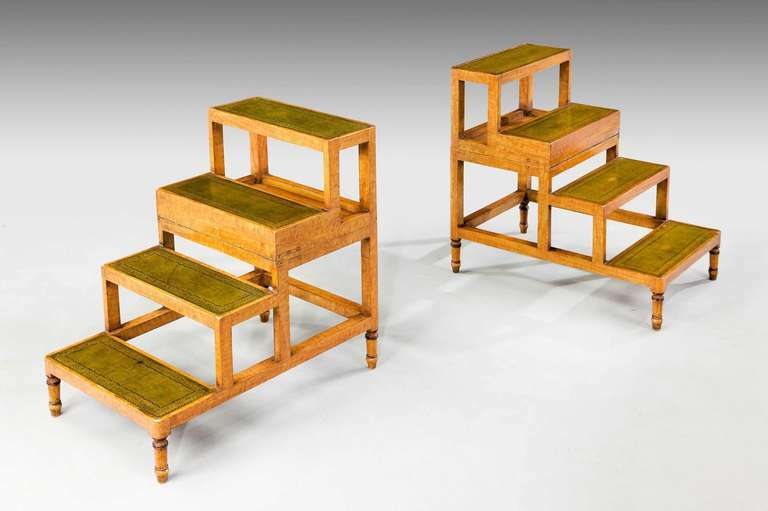 Set of old painted library steps, 1880. 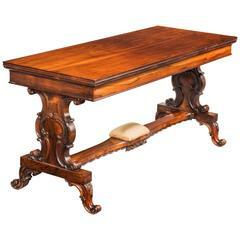 Dimensions: 32 inches (81 cms) wide 17 inches (43 cms) deep 35 inches (89 cms) high. 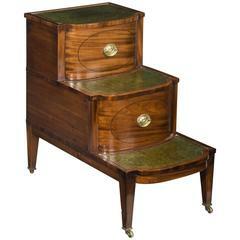 19th century library/bedroom steps with two-drawer storage compartments. 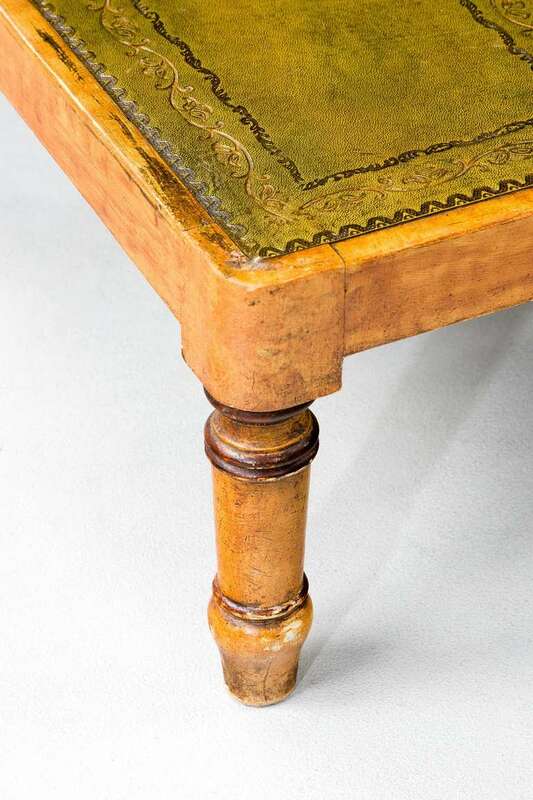 Each step has embossed green leather. 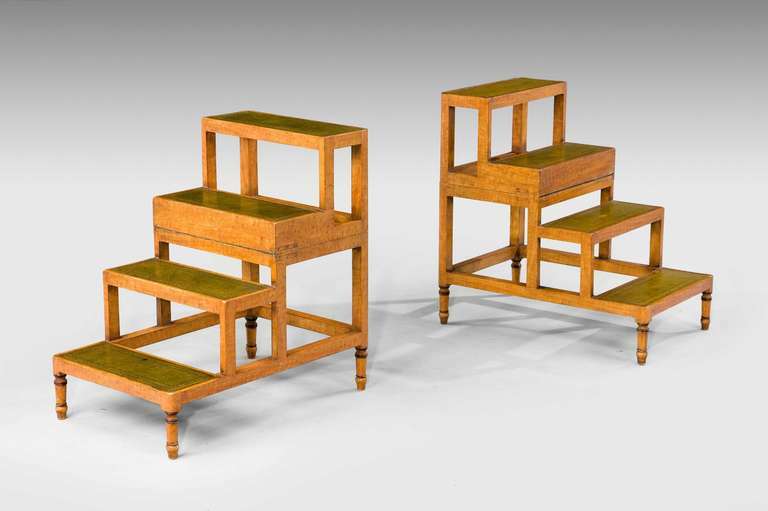 19th century English mahogany library steps.